On average, businesses realize only 43% of technology's potential. Don't let your firm become a part of this statistic. Get the support you need from Rete Consulting. Whether you're an entrepreneurial startup or an established firm, Rete helps you take advantage of the latest technology without damaging your business' bottom-line. Retain control of your environment and optimize efficiency and performance of your IT infrastructure with Rete's managed IT services. From network availability monitoring to preventative maintenance and upgrades, we take care of all your IT management needs. Regardless of the size of your technology investment, it may fail to pay you expected returns if there's a lack of strategic vision. Let our experts help you align your technological resources with your strategic goals and earn greater value from your investment. From company-branded email to a reliable and secure website hosting, Rete provides you all the tools and technology you need to entertain and engage your online users and enhance your online footprint. Let Rete help you design and build a network that will not only make high-performance, organization-wide communication possible, but will also grow along with your business to fulfill your communication needs tomorrow. Looking for high quality managed IT consulting services for small businesses in Austin? 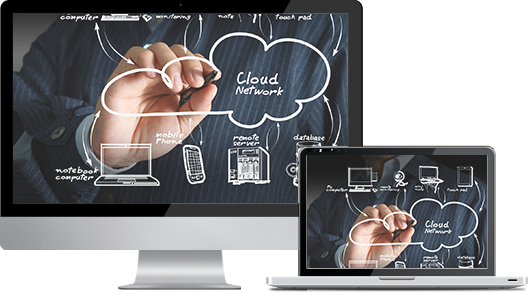 Rete Consulting provides fully managed IT services to small businesses at affordable costs. We understand the unique needs of businesses and then provide them with complete IT services and solutions that will transform their business. We help businesses gain control over their IT assets, and create an IT infrastructure for them that allows them to use technology to enhance their service quality. We can help your business gain superior IT services at affordable costs, so that you never experience any network performance issues and can deliver superior services at all times. When you choose Rete Consulting to manage your IT infrastructure, you get assistance from an IT expert who holds extensive experience and in-depth knowledge of IT management. Our experts ensure you superior network performance, security, and reliability and save your business's profitability by helping you avoid unpredictable IT costs. To learn more about how we can help you earn a higher return on your technology investment, you can contact us at (512) 596-5001.